On March 14th, 2018, Camelway HZS75 concrete batching plant was successfully installed in the Philippines. Our client expressed his satisfaction with the plant because “it is of top quality as the previous one”. He put an order for a smaller plant in January, 2016 and did not put a second order until a year later when he had found no problem with the first plant. 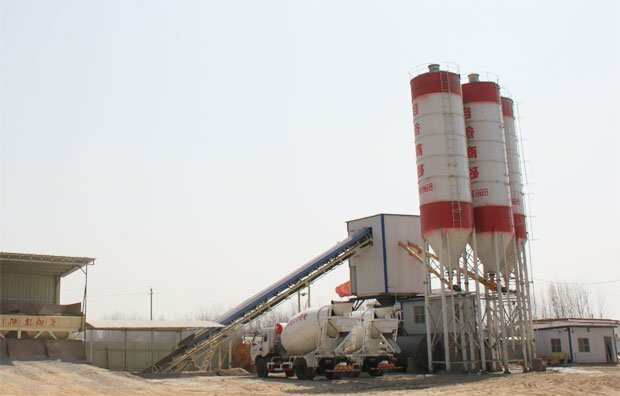 The client is a concrete contractor who supplies concrete for several big construction companies, therefore, he needs plants of high efficiency and stable operation. Before he decided to buy from us, he just gave up another supplier in China, who attracted him by a low price. After the plant arrived and was put into use, however, it broke down frequently. Thus he became to be more careful and only bought a small plant from us at the very beginning. We sent two engineers to help him for the installation of HZS75 plant, which proved to be very smooth. Our HZS75 concrete batching plant, equipped with automatic control system, costs less and occupies less floor area. With a discharging height of 3.8m, it has two to four storage hoppers of 8 cubic meters each. It can be used separately or together with plants of other capacities. Customization is also acceptable. Beside, we have engineers available for oversea services. Welcome to contact us for more information! This entry was posted in News and tagged Camelway in Philippines, Concrete Batching Plant in Philippines by camelway. Bookmark the permalink.